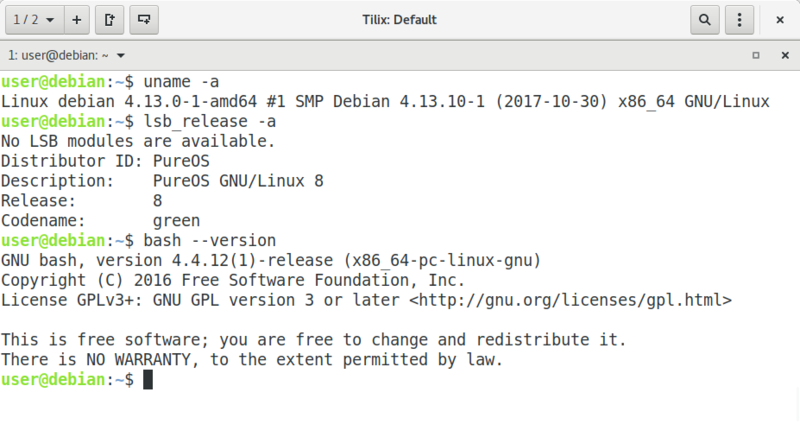 PureOS GNU/Linux is a new Debian-based and user-friendly distro that just certified by the FSF as 100% free distro (along with Trisquel). 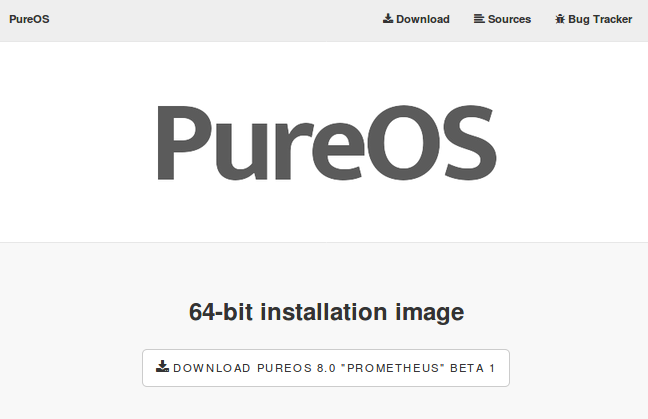 PureOS is developed mainly for Purism Librem computers but it's publicly available, so we can download PureOS and install it on our own computers & laptops (currently 64 bit only). This article shows how PureOS looks at inside starting from the Desktop (GNOME 3.26) until the System Installer (Calamares). As summary, I can say for now (December 2017) that if you're looking for the most user-friendly 100% free distro, you should try PureOS. Enjoy! 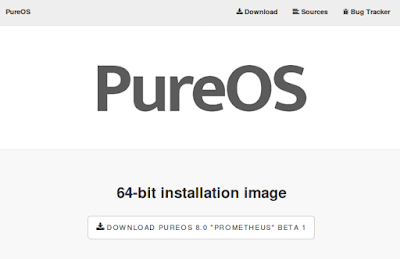 PureOS is available gratis at https://pureos.net/download.html. At 23 December 2017, the ISO image is at 8.0 version and worth 1.3GB in size. 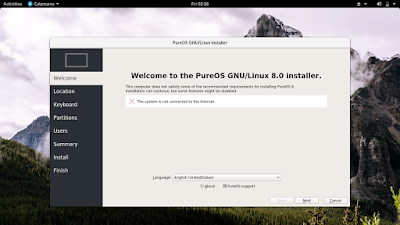 Note 2 things: (1) PureOS is a rolling-release distro so the ISO image may change at any time (2) PureOS is available only for 64 bit computers at this time. 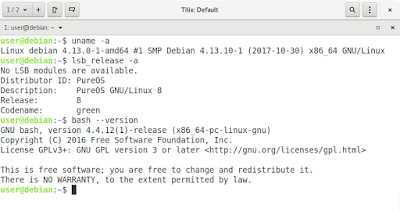 The announcement published at Dec 21, 2017 by Donald Robertson available at https://www.fsf.org/news/fsf-adds-pureos-to-list-of-endorsed-gnu-linux-distributions-1. 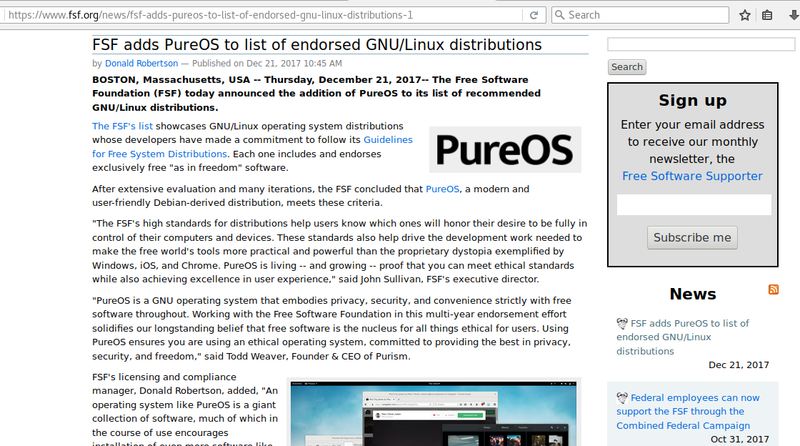 The appearance of PureOS as one of FSF's endorsed distros is available of free distros list https://www.gnu.org/distros/free-distros.html as per 21 December 2017. This list mentions PureOS along with Trisquel, Parabola, gNewSense, and another 100% free distros. If the name Free Software Foundation (FSF) is new for you, you can read more about FSF here. 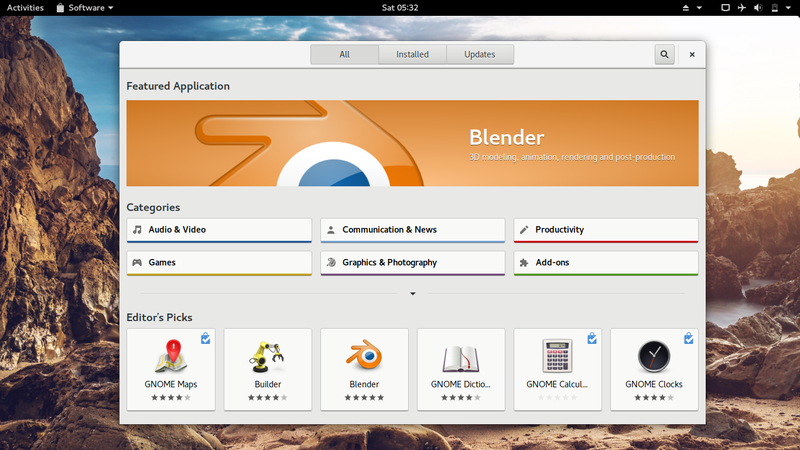 PureOS features user-friendly desktop known as GNOME with latest version 3.26 currently. We can use the "Win key" on our keyboard to open the menu. 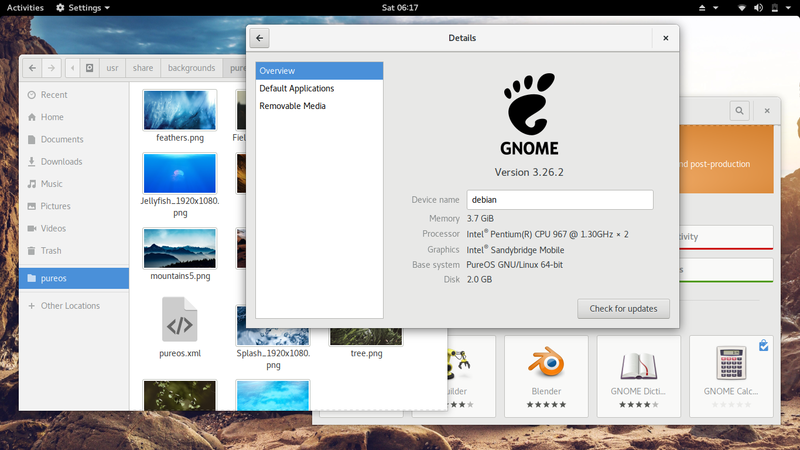 PureOS gives us an easy way to search applications you need, install them, and update them using GNOME Software. 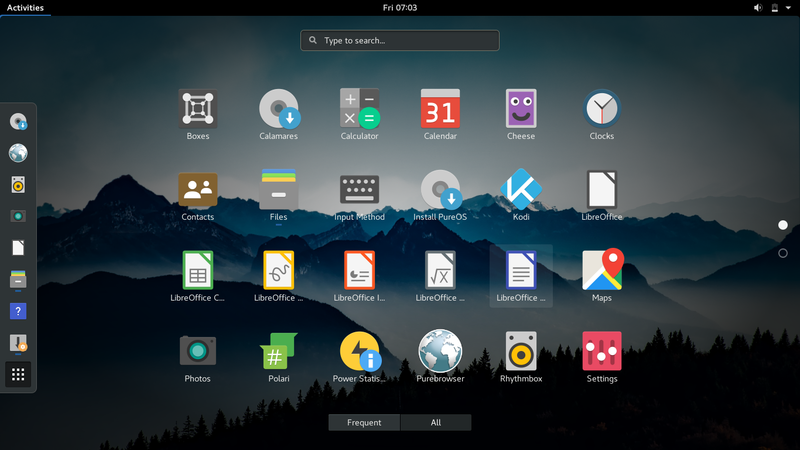 As a 100% free distro, the PureOS developers has improved this Software Center to offer only free software (without any proprietary software). 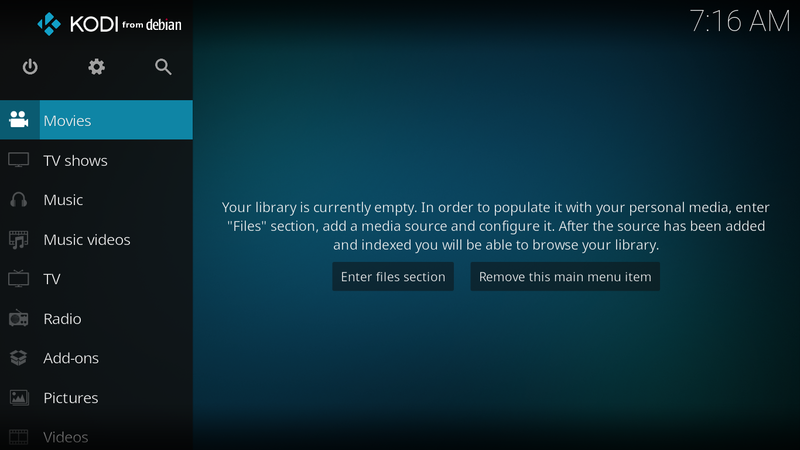 PureOS simplifies the repository sources to be only one line (read /etc/apt/sources.list) with one "room". All software in its repository are stored in a single main room, different to Debian (which has "main", "contrib", "non-free"). 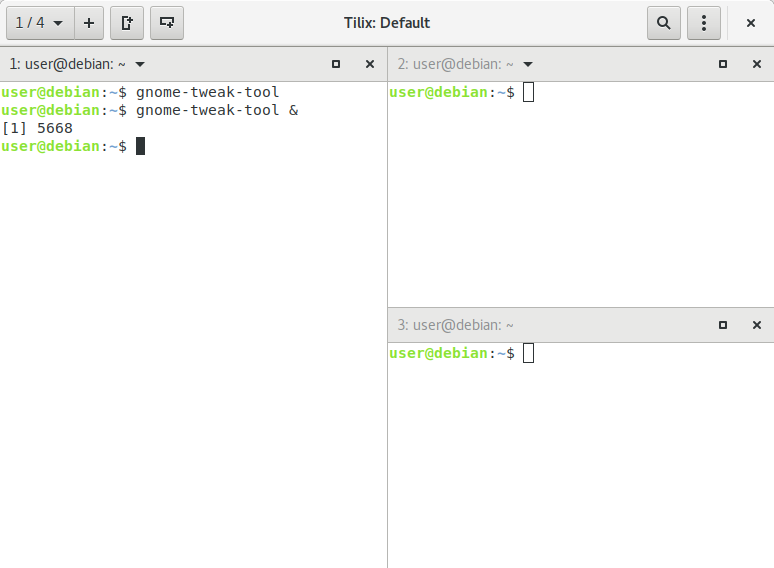 We can easily control the repository sources by using "Software & Updates" program built-in (command line invocation: software-properties-gtk) like picture below. 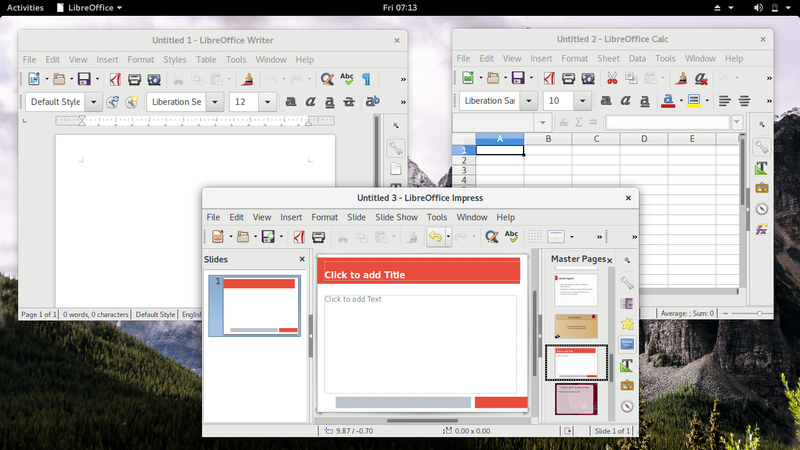 PureOS features LibreOffice (a free replacement for MS Office) built-in so we can work with our documents as we need. PureOS also ships with many home & office applications such as Rhythmbox Audio Player, Totem Video Player, Boxes (replacement for VirtualBox), Calculator and Calendar, Polari IRC Client, and so on. All these we got for only 1.3GB ISO image. 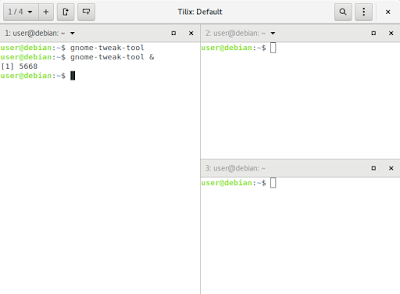 The terminal program used in PureOS is not GNOME Terminal, strangely, but rather Tilix. It's a unique terminal with multitasking and 'multiscreening' feature as depicted below. 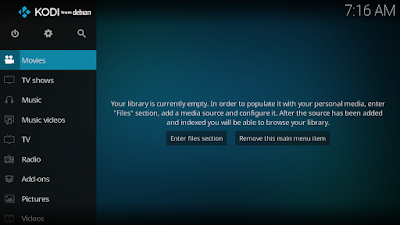 PureOS is really for desktop users by including Kodi Media Center (formerly XBMC) so you can transform your computer to be a family multimedia center. PureOS features Calamares to give you an easy but complete-control way to install the PureOS system to computer. This Calamares is the same system installer you find at other distros such as KDE Neon, Fedora, OpenMandriva, and Manjaro. The PureOS installer, Calamares, is very famous & user-friendly!